As everyone knows by now, Maya Angelou passed away this week. Her words, her work, her presence, and her life have been honored in many ways in many places-- such a beautiful legacy. I just wanted to take a moment to highlight her work for children. Angelou, Maya. 2003 (reprint). My Painted House, My Friendly Chicken, and Me. Ill. by Margaret Courtney-Clarke. New York: Crown. Angelou, May. 1996. Kofi and His Magic. Photographs by Margaret Courtney-Clarke. New York: Knopf. Angelou, Maya. 2008. Amazing Peace; A Christmas Poem. New York: Schwartz & Wade. Wilson, Edwin G (Introductions/annotations). 2013 (reprint). 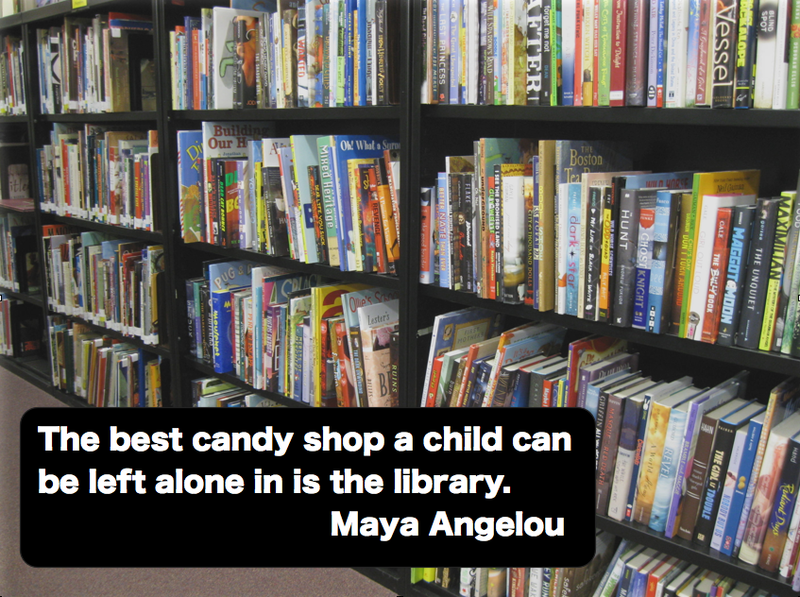 Poetry for Young People: Maya Angelou. Ill. by Jerome Lagarrigue. New York: Sterling. 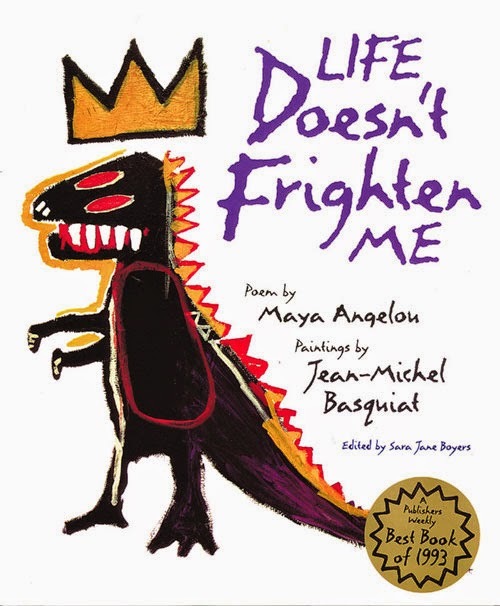 But I think my favorite of her works for children is her book, Life Doesn't Frighten Me illustrated by the artist Jean-Michel Basquiat. It's deceptively simple and direct and recognizes children's fears while empowering them to face them and embrace their own power and identity. Thank you, Maya Angelou, for sharing your gifts with us-- young and old. 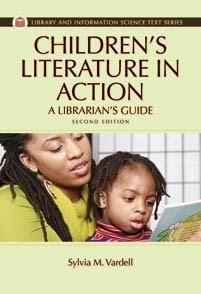 We recently presented at the annual conference of the International Reading Association in New Orleans. Our topic was "How is a Poet Like a Scientist? Maximizing Teachable Moments in Both Reading and Science." Each person brought a slightly different perspective-- in reading poetry aloud, in sharing poetry with young people, and in making connections between poetry and science. Here are just a few fun clips to give you a taste. 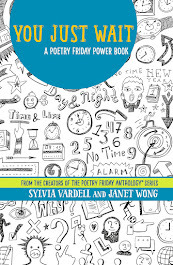 Amy reads one of her poems aloud ("Meter Stick") from The Poetry Friday Anthology for Science. 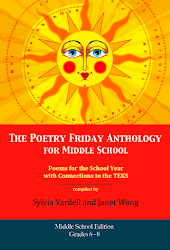 I introduced poet Eric Ode (pronounced O-dee) by reading one of his poems aloud ("Science Fair Project" from The Poetry Friday Anthology for Science). Then Eric invited the audience to join in on his poem, "Science Fair Day" (from The Poetry Friday Anthology for Science). 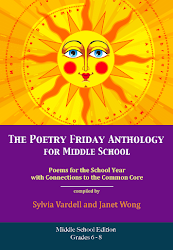 Vida (bringing the educator perspective) shared the poem, "Questions that Matter" by Heidi Bee Roemer (from The Poetry Friday Anthology for Science) along with how one second grade teacher approached the poem with her students. Bonus: Poet Sara Holbrook was in our audience and was willing to jump up and share her poem, "Friction" (also from The Poetry Friday Anthology for Science). 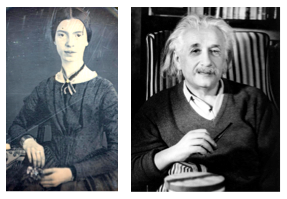 Isn't it marvelous to see how poets explore science topics? Wouldn't it inject fun in a science lesson to start with a poem? 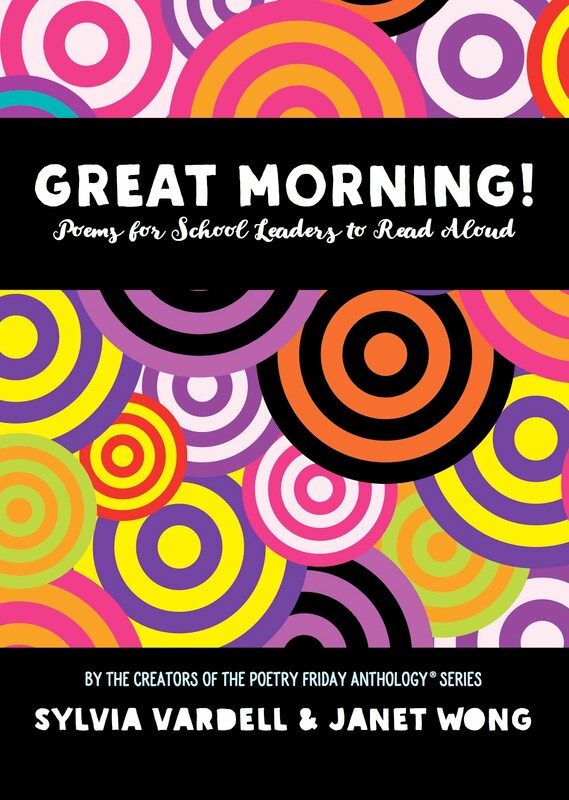 Can you imagine kids' responses to these engaging poems? 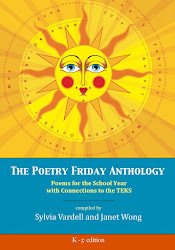 Get your copy of The Poetry Friday Anthology for Science here. A big THANK YOU to audience member and poet Laura Purdie Salas for making these mini-movies with my handy dandy Flipcam! And thank you to our wonderful panelists and to the enthusiastic audience that joined us-- and on Mother's Day! Calkins, Lucy; Parsons, Stephanie and VanDerwater, Amy Ludwig. 2013. Poetry: Big Thoughts in Small Packages. Heinemann. Duke, Shirley Smith and Ostrom, Bob. 2014. Step-By-Step Experiments with Plants. The Child’s World. Duke, Shirley Smith and Ostrom, Bob. 2014. Step-By-Step Experiments with the Water Cycle. The Child’s World. Duke, Shirley Smith. 2006. No Bows. Ill. By Jenny Mattheson. Peachtree. Duke, Shirley Smith. 2013. Science lab: Gases (Explorer Library: Language Arts Explorer). Cherry Lake Publishing. Duke, Shirley Smith. 2013. The Amazing Brain (Rainbow Readers). Compass Publishing. Ode, Eric. 2007. Tall Tales of the Wild West (And a Few Short Ones). Meadowbrook Press. Ode, Eric. 2012. Dan, the Taxi Man. Ill. Kent Culotta. Kane Miller Books. Ode, Eric. 2012. When You're a Pirate Dog and Other Pirate Poems. Ill. by Jim Harris. Pelican Publishing. Ode, Eric. 2013. Sea Star Wishes: Poems from the Coast. Ill. by Erik Brooks. Sasquatch Books. Ode, Eric. 2013. The Boy and the Dragon. Ill by Jim Harris. Pelican Publishing. Suen, Anastasia and Duke, Shirley Smith. 2013. Teaching STEM and Common Core with Mentor Texts: Collaborative Lesson Plans, K-5. Libraries Unlimited. VanDerwater, Amy Ludwig. 2013. Forest Has a Song. Clarion. Zuljevic, Vida. 2005. Using Puppets with English Learners to Develop Language. In Supporting the Literacy Development of English Learners: Increasing Success in All Classrooms edited by Terrell Young and Nancy Hadaway. International Reading Association. Zuljevic, Vida. 2010. I Was Almost Five. Lulu.com. 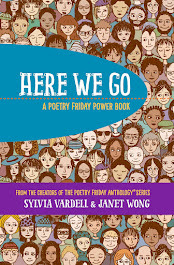 Now head on over to Violet's place (Violet Nesdoly Poetry) for the Poetry Friday gathering. See you there! It's time again to pause and celebrate women-- particularly the contributions of mothers-- on Mother's Day (on Sunday in the U.S.). When I lived in Zimbabwe many moons ago, they had a saying, "Educate a woman and you educate a nation." I always loved that and the power it suggests girls and women have in promoting a love of learning. This year, I'll be away on Mother's Day, talking about poetry (and science) at the IRA convention on Sunday (a fun way to celebrate, IMO!). But if you're looking for poetry about moms, here's a bib from my Poetry Teacher's Book of Lists. Read, write, or share a poem with a woman you admire this weekend! 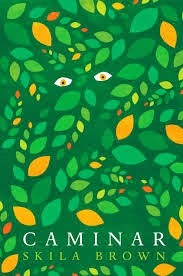 I also highly recommend a new novel in verse out this year, Caminar, by new poet Skila Brown. It's set in Guatemala in 1981 when conflicts between Communist soldiers and guerilla fighters were at a crossroads. 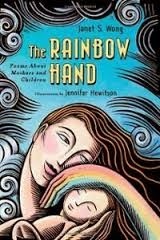 The love of a mother for her son is a beautiful thread throughout this powerful story of war, courage, and survival. What better tribute for a mother, aunt or grandmother than a well-chosen poem? 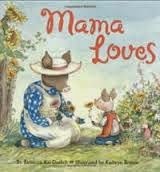 Poets have given us words with which to honor the women in our lives with the following selected books for young readers. Clinton, Catherine. Ed. 2003. A Poem of Her Own; Voices of American Women Yesterday and Today. New York: Abrams. Coyne, Rachel. 1998. Daughter Have I Told You? New York: Henry Holt. Dotlich, Rebecca Kai. 2004. Mama Loves. New York: HarperCollins. Fletcher, Ralph. 1999. Relatively Speaking: Poems about Family. New York: Orchard. Hoberman, Mary Ann. 1993. Fathers, Mothers, Sisters, Brothers: A Collection of Family Poems. New York: Puffin Books. Hopkins, Lee Bennett. 1995. Been to Yesterdays: Poems of a Life. Honesdale, PA: Wordsong/Boyds Mills. Micklos, John Jr. 2001. Mommy Poems. Honesdale, PA : Wordsong/Boyds Mills. Myers, Walter Dean. 1998. Angel to Angel: a Mother’s Gift of Love. New York: HarperCollins. Rosenberg, Liz. 2001. Ed. Roots & Flowers: Poets and Poems on Family. New York: Henry Holt. Strickland, Dorothy S. and Michael R. Strickland. Ed. 1994. 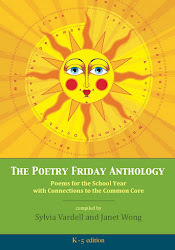 Families: Poems Celebrating the African-American Experience. Honesdale, PA: Wordsong/Boyds Mills. 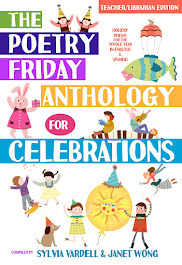 Now head on over Jama's place (Jama's Alphabet Soup) for the Poetry Friday celebration. And if you're in New Orleans, come to our poetry session on Sunday (Mother's Day) at 11 in the Convention Center room 274! I am excited to feature another installment in my ongoing Poet to Poet series. 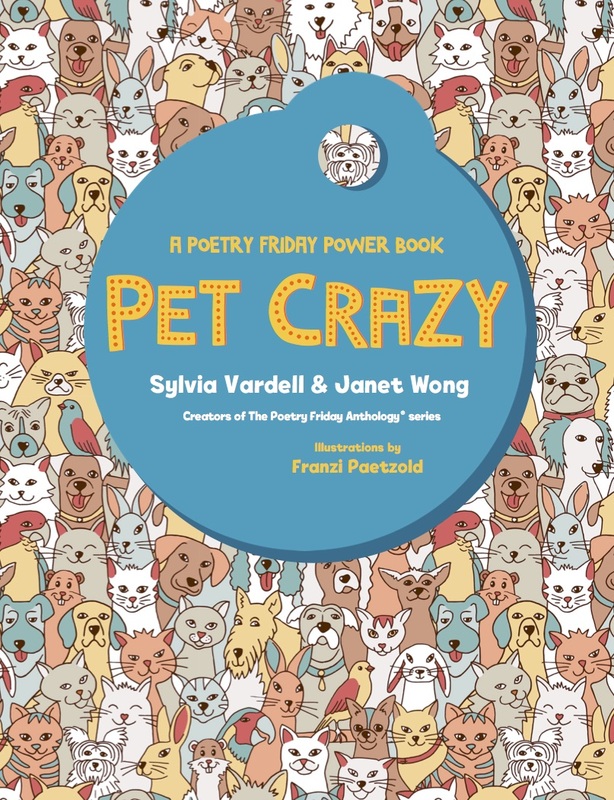 I'm trying to connect two poets, one interviewing the other about her/his new book. 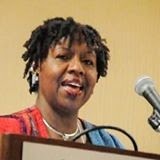 Our latest pairing features Laura Purdie Salas, author of Stampede, BookSpeak!, and her latest, Water Can Be, who interviewed NCTE Poetry Award winner, Nikki Grimes who has a new book out this Fall, Poems in the Attic. Once again, I challenged them to pitch and respond to three questions-- enjoy! 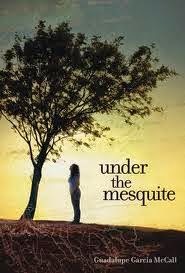 Laura asks: You create and reveal such intimate, realistic characters in your poetry collections and novels in verse. How do you decide which moments in a character's life to write poems about? Nikki responds: Story. It's all about story. Whatever understanding of the character is needed to move the story forward, support it, or ground it drives my choices. A poem might be needed to create back-story, or to explain the emotional state of the character, or to establish the story arc. Whatever the case, it is always Story that drives my choices. Laura asks: I know you have a new book coming out: Poems in the Attic. Would you be willing to briefly walk us through the stages it went through, from inspiration to finished manuscript? I'd love to know what your main goal was in each step along the way. Nikki responds: I'd been thinking about how large a population of young people we now have among us who have parents serving in the military. Their experience, and the emotional needs that go along with it, are so specific. I think I'm especially sensitive to the difficulties of constantly being moved around, as a child, because I was, myself, though for very different reasons. I wondered if I might be able to suggest, through story, a positive way in which military brats might cope with this constant upheaval. I wondered if, for instance, a child were to catalog his or her experiences, through journaling or writing poetry, if that might be a powerful tool for their survival—because the soldiers aren't the only ones who need to survive. The wives and children do, too. I have many friends who were military brats, and I'd heard some of their stories about growing up, and so I began asking them to share more of those stories with me. I conducted interviews with several of them, both in person, and via email. I also reached out to the military brat community on Facebook, and elicited a couple of stories from people, there, as well. Once I had maybe 20-30 such stories, I began to structure the larger story my poems, based on their stories, would fit into. Since I was drawing from stories that stretched back, in some cases, 20 years ago, I had the idea to use a multi-generational approach to my story, itself. And so, imagined a little girl visiting her grandmother, and discovering in her grandmother's attic, a cache of poems written by her mother when her mom was a little girl. I wanted to incorporate the voices of both mother and child, and so I set up paired poems, one by the girl, written in free verse, that would introduce the poems written by her mother, which would be in the form of tanka poetry. It is a story-within-a-story, an approach I especially like, probably because I find it challenging. I'm always up for a good challenge! Laura asks: On a technical level, line breaks really interest me, and teachers ask a lot of questions about them. I'd love to hear your take on this. How do you decide where to break lines? Is it based on meaning, where you want the reader to pause (if you even do want the reader to pause), how it looks on the page, or something different? Could you share a poem and explain why you chose to break the lines where you did? Nikki responds: My choice in line breaks is always about meaning, and pauses. I want the reader to pause where I, as the poet, paused. How it looks on the page is secondary, although it becomes important if I have two lines that rhyme, and I want the rhymes to fall at the end of each line. Then, I will break the lines accordingly. Otherwise, I might choose to keep the rhyming word as an internal rhyme, and wait on the line-break. By breaking here, I cause the reader to stop and ask, "Figured what out?" Of course, I will answer that question in the next few lines. >>> Look for Nikki’s lovely Words With Wings published by Boyds Mills Press and available now. Thank you, Laura and Nikki, for sharing so generously! One more science + poetry plug! This session will present poetry that incorporates science content plus practical strategies for implementation. 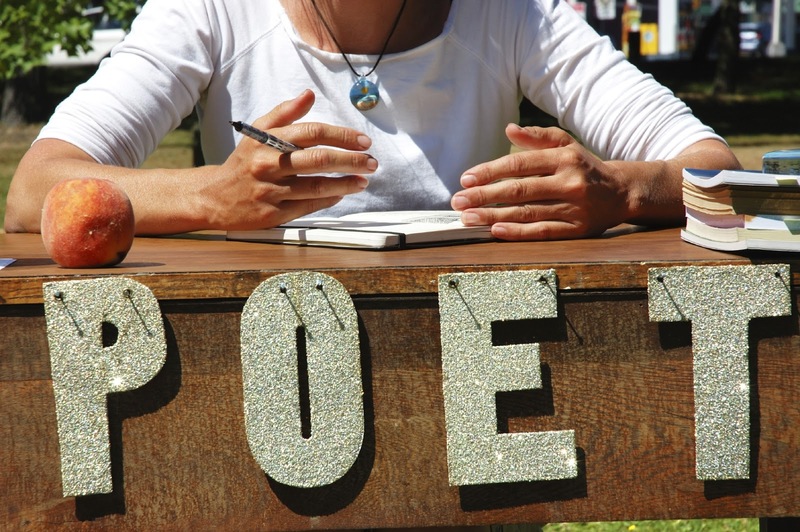 Poetry offers the special language, imagery, and conciseness that introduces or reinforces important science concepts and terminology. We can encourage children to think like a poet and a scientist in carefully observing the world around them using all their senses, maintaining an avid curiosity about how things work, and gathering “big words” and key vocabulary in their reading and their writing. 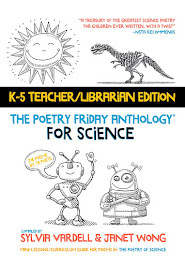 We'll be talking about a variety of science-themed poetry books and instructional strategies and will provide a poetry bibliography and plenty of freebies! Mark your calendar and plan to attend.